JCSMS chairman Jon Halperin had a chance to interview Dr. Boris Lushniak (Rear Admiral Retired, MD, MPH) who was the US Sugeon General from 2013-2014. Dr. Lushniak discussed his time with the US Public Health Core and talks about current and future healthcare issues that face the United States and the world. INDIANAPOLIS –the American College of Sports Medicine (ACSM) has released a new official statement regarding energy drinks, published today in the college’s clinical review journal, Current Sports Medicine Reports. “Energy Drinks: A Contemporary Issues Paper” provides helpful guidance and warnings regarding these beverages because of the dangers they present to at-risk populations, primarily children who are the most vulnerable and the target of marketing efforts. Protecting children at risk: Children and adolescents appear to be at particularly high risk of complications from energy drinks due to their small body size, being relatively caffeine naive, and potentially heavy and frequent consumption patterns, as well as the amounts of caffeine. The message that these beverages are not intended for children needs to be re-enforced and widely disseminated. Do not use energy drinks before/during/after strenuous exercise: Regardless of health and fitness level, and until such time that proper safety and efficacy data are available, energy drinks should be avoided before, during or after strenuous activities. Some of the deaths allegedly due to energy drinks have occurred when a person consumed energy drinks before and/or after performing strenuous activities. More education and data needed: Investment in awareness and educational resources highlighting the potential adverse effects and safe use of energy drinks is required. Significant efforts should be made to educate consumers regarding the clear and present differences between soda, coffee, sports drinks and energy drinks. Energy drink education also should be a priority in school-based curricula related to nutrition, health and wellness. A research agenda must be developed to prioritize key questions about the acute and chronic effects of energy drink use. At a minimum, standard safety and efficacy studies should be performed and submitted to the FDA by manufacturers. Well-designed and controlled research is required to examine the increasing frequency of adverse events being reported by emergency departments. Health care providers must talk to their patients about energy drink use, and report adverse events to watchdog agencies, like the Poison Control Centers, Consumer Product Safety Commission and the FDA. A national registry should be set up to specifically track energy drink side effects with mandated reporting requirements. Edward Laskowsi MD is the co-director of the Mayo Sports Medicine Clinic. He is a professor of Physical Medicine and Rehabilitation at the Mayo Clinic in Rochester, Minnesota. He is a world renowned expert in Fitness and Sports Medicine. He has published over two hundred articles in the fields of Fitness, Sports Medicine and Sports Science. He served on the Presidents Council on Physical Fitness and Sport under both George W Bush and Barack Obama. In this interview, Dr. Laskowski discusses the exciting new programs that are currently occuring in Sports Medicine, Exercise, Fitness and Sports Science at the Mayo Clinic. >> Click here to listen to interview! The Sports Medicine Licensure Clarity Act (H.R. 302), introduced by Reps. Brett Guthrie (R-KY) and Cedric Richmond (D-LA), has just been passed in the U.S. House of Representatives. The legislation, which would protect athletic trainers and other sports medicine professionals who travel out of state with an athletic team to provide care, ultimately ensures that the medical care of athletes is not jeopardized. The next step is for the legislation to be introduced in the U.S. Senate. If it receives a passing vote in the Senate, it will go to the president’s desk for final signature to make it a law. H.R. 302 clarifies medical liability rules for athletic trainers and other medical professionals to ensure they’re properly covered by their liability insurance while traveling with athletic teams in another state. Under the bill, health care services provided by a covered athletic trainer or other sports medicine professional to an athlete, athletic team or a staff member in another state will be deemed to have satisfied any licensure requirements of the secondary state. After several years of collaborative work between a group of health care organizations spearheaded by the National Athletic Trainers’ Association (NATA) and members of Congress, the bill (formerly H.R. 921) was passed by the House of Representatives on Sept. 12, 2016, but was not approved by the Senate before Congress adjourned in December. 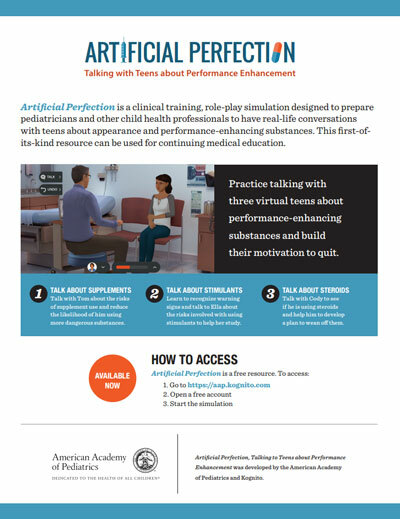 “NATA is proud to have championed this legislation that will not only benefit our 44,000 members and the millions of patients they serve, but that will also support health care professionals all over the country, including our initial partners in this effort, the American Academy of Orthopaedic Surgeons (AAOS) and the American Medical Society for Sports Medicine (AMSSM),” said NATA President Scott Sailor, EdD, ATC. Once this legislation is passed, health care providers will be able to treat injured athletes across state lines without the fear of incurring great professional loss. This bill reinforces the sports medicine team collaborative approach to care among physicians, athletic trainers and others. It is also vital in light of playoffs and championship games from youth to professional sports and where teams travel a great distance with little notification. NATA is pleased that the House of Representatives has decided to take action on this important legislation and continues to work tirelessly to advocate on behalf of athletes and athletic trainers. The Canadian Concussion Collaborative is a multidisciplinary group that was founded to create synergy between health organizations in Canada who are concerned with the implications of sport related concussions. Their mission is to improve education about concussions and help develop “best practices” for prevention and management of concussions. The CCC is facilitated and organized by long term JCSMS member CASEM (the Canadian Academy of Sports and Exercise Medicine). 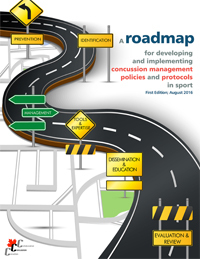 View their latest publication, "A roadmap for developing and implementing concussion management policies and protocols in sports" online; click here.